Extraction hood to connect to a remote extraction unit. The extraction hood can be delivered either installed on Sammic SRC-1800 dishwashers, or as kit. 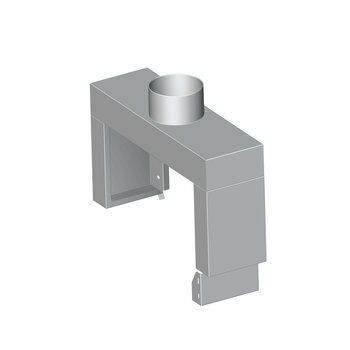 CA extraction hood consists of a splash shield equipped with an outlet to connect to a remote extraction unit. Avoids splashing of the dish coming out of the machine. The total length of the installation is not altered.